The lines between the digital and physical world are officially blurry. According to a 2018 Pew Research study, 1-in-4 Americans say they are online ‘almost constantly’ and three-quarters of Americans go online at least daily. The convergence of offline and online has opened up entire new pathways for fraudsters, money launderers, and identity thieves to assume another person’s identity and wreak havoc on innocent people, companies, and even entire industries. 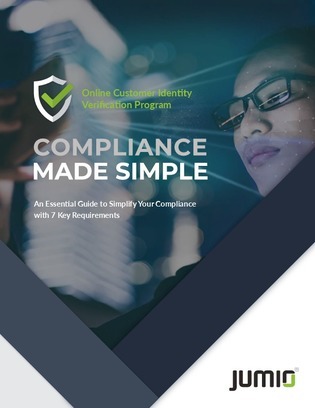 Download this white paper to learn some of the key regulations you’ll need to consider as you subject your customers and online users to ID, identity, or document verification processes. Explore tips to help you choose the right identity verification provider with the systems and processes in place to support and enable your compliance.